Newlyweds Ty and Mike Kelty of Atlanta were consolidating their kitchens when the issue of expiration dates erupted. Ty has a looser view of how long food is good beyond the date on the packaging. Mike occasionally has let something slide a day, but after that, ‘’even if it’s a whole gallon of milk, I’m throwing it out,’’ he says. So her old rice and flour were tossed. “The stuff that went back to 2007 and 2008, it had to go,’’ he says. Most Americans are like Mike. A new survey found that three in four U.S. consumers believe certain foods are unsafe to eat after the date on the packaging has passed. But experts say that if most foods are stored properly, they can be safe for days after the ‘use by’ date. The recently released survey was sponsored by ShelfLifeAdvice.com, a food storage reference website that estimates U.S. consumers unnecessarily discard billions of dollars of food a year. The Food and Drug Administration says the food date does not equate to safety. “If something is past its date, and stored properly, often it’s OK," says Ira Allen, an FDA spokesman. Peanut butter can be good for months beyond the date, too, he says. You could get an extra year out of a breakfast cereal if it’s stored in a cool, dry place, adds Joe Regenstein, a professor of food science at Cornell University. Using closed containers for items such as rice or flour can extend their life, he says. Toothpaste? “I have yet to figure out what can go wrong’’ with it, Regenstein says. Frozen foods, though, can form ice crystals that can ruin their quality, Doyle adds. 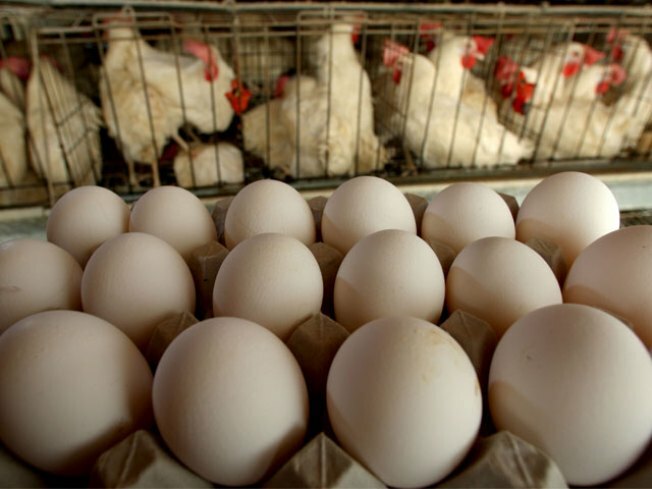 Eggs can be good for three to five weeks past the ‘use by’ date, according the website ShelfLifeAdvice.com, which allows users to look up specific foods. Rather than focusing only on the expiration date, consumers should pay close attention to cross-contamination, temperature control and sanitation issues that can lead to dangerous foodborne illnesses, these food safety experts say. Salmonella and E.coli strike fresh products such as meat, produce and dairy. “Pathogen contamination is much more of a threat to people’s health than shelf life spoilage, ’’ Doyle says. “Within a couple of weeks, it’s likely to spoil and not taste or smell good,’’ he adds. But even then, it’s not always harmful. Most spoiled food is just yucky, resulting in perhaps a stomach ache if consumed, Regenstein says. The FDA says molds on food can cause allergic reactions and respiratory problems, and that a few molds can have mycotoxins, which can make you sick. The food manufacturer generally determines the date, which marks the point when the quality of the food would deteriorate — not when it turns dangerous. “In most cases, it’s kind of obvious when it’s spoiled,’’ Regenstein says. “Milk at some point will go bad. You pick that up with taste or smell." Foods that you should watch the most for spoilage? Poultry, fish and meat. “That’s where we need to look at shelf life, and watch for the expiration date more,’’ Doyle says. Even sodas have an expiration date. Doyle says that’s a matter of diet sodas going bad because artificial sweeteners break down. Regenstein says soda will lose carbonation in plastic containers and go flat, but isn’t harmful. Cathy Svacina of Kansas City fretted about dates on food when raising five children. When the date passed, food was dumped even if it didn’t smell or look bad. Now Svacina, with children grown, has eased her view of ‘use by.’ Not that she doesn’t pay attention. She takes a black marker to food packages when home from the grocery store. “I mark the dates with great big numbers,’’ she says. But that’s mainly so she can rotate the oldest to the front of the pantry or refrigerator. The stuff she’ll consume past the date includes dry mixes, rice and canned food with a high acidic content. Andy Miller is an Atlanta-based freelance journalist. His work has been published by WebMD, AOL's WalletPop and AARP. He was a longtime staff writer at the Atlanta Journal-Constitution.